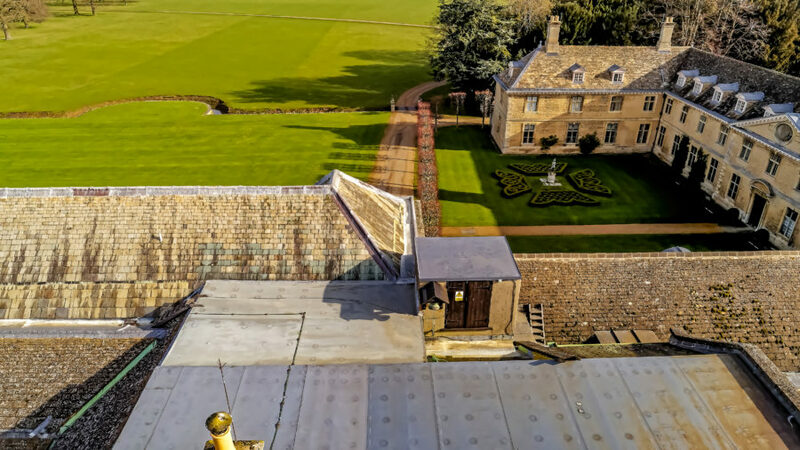 Situated in the north of Peterborough, the largest private house in Cambridgeshire has recently undergone a refurbishment. As part of the Soke of Peterborough, it was formerly part of Northamptonshire. It dates from 1594, being the historical home of the Fitzwilliam family, and is situated in an extensive park in which some original oak trees from an earlier Tudor deer park survive. The house is a Grade I listed building; the garden is Grade II. The project consisted of refurbishment of existing bedroom roof and lift shaft. 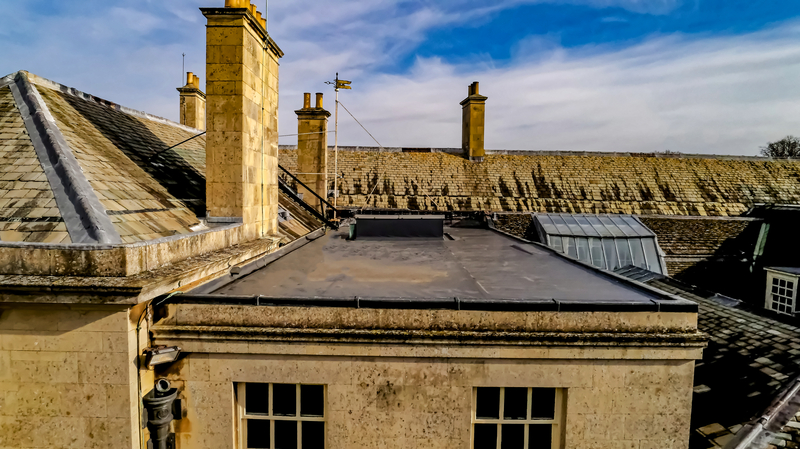 As the dwelling is an historic Grade I listed building with a strong history, it was crucial for the new roof to easily blend with the historic look of the existing building without conflicting with its unique character. Earl Fitzwilliam, the current owner of the building, was keen on using IKO Armourplan PVC roofing system as he found out IKO Polymeric was the only British manufacturer of single ply membranes and believed that this was a good fit with building’s heritage. 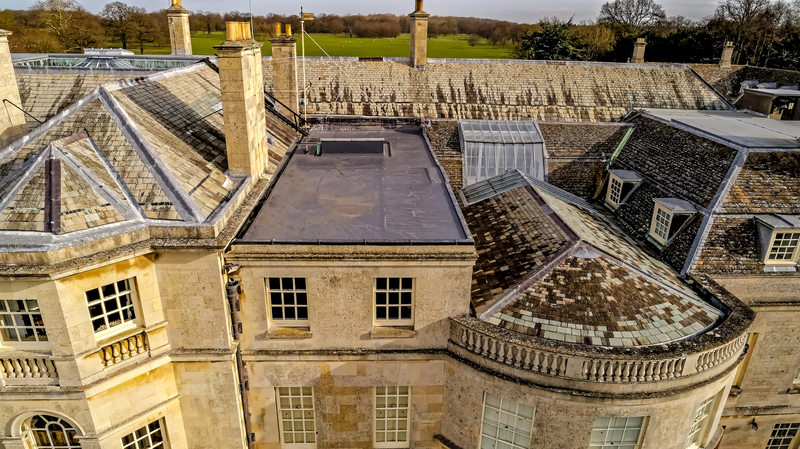 IKO Polymeric’s technical team advised that the adhered roofing system would be the best option for this particular project as mechanical fixings would show under the membrane and negatively affect the desired look of the roof. An adhered system would also stop the membrane flapping in windy conditions and avoid disruption to the occupiers of the private dwelling. Earl Fitzwilliam’s membrane choice was IKO Armourplan PSG thanks to its durability and the extended guarantees it offers. With high quality polymer throughout – even on the lower layers – and high performance reinforcement, this membrane offers enhanced benefits over standard PVC membranes. The extended guarantee requirements were met using only a 1.2mm thick membrane, also ensuring ease of installation. The choice for the membrane colour was slate grey as it perfectly matched with the Victorian characteristics of the building and added a modern touch without clashing with the historical look. As IKO Polymeric supplied the full roofing system including the IKO’s Vapour Control Layer, IKO enerthem insulation boards, IKOfix fasteners, IKO Armourplan Contact Adhesive and IKO Spectrabond Low Foaming PU Adhesive, the client has been awarded with a single point piece of mind guarantee for their new roof.